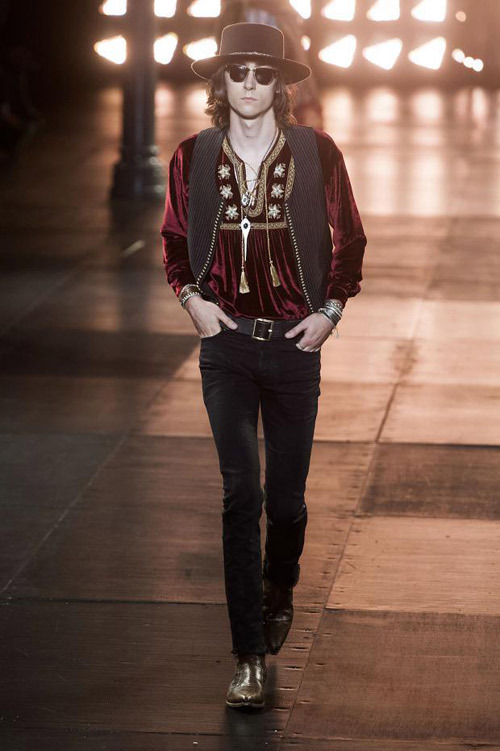 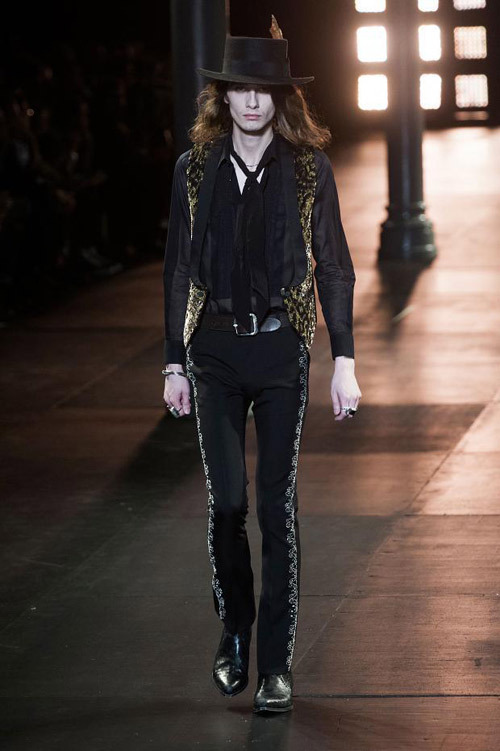 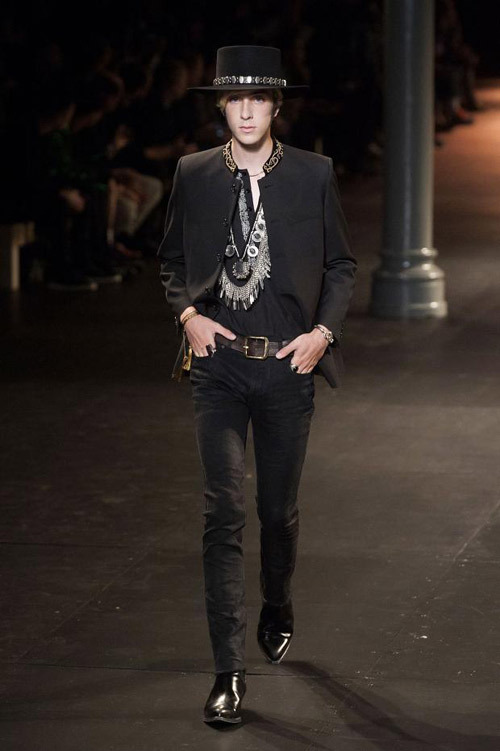 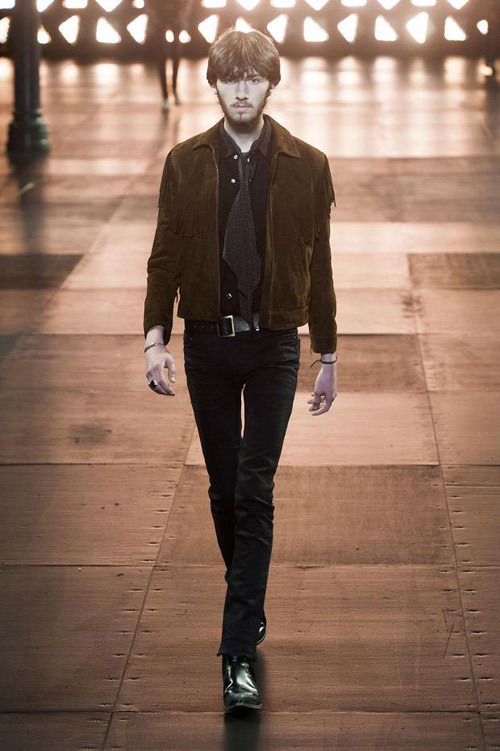 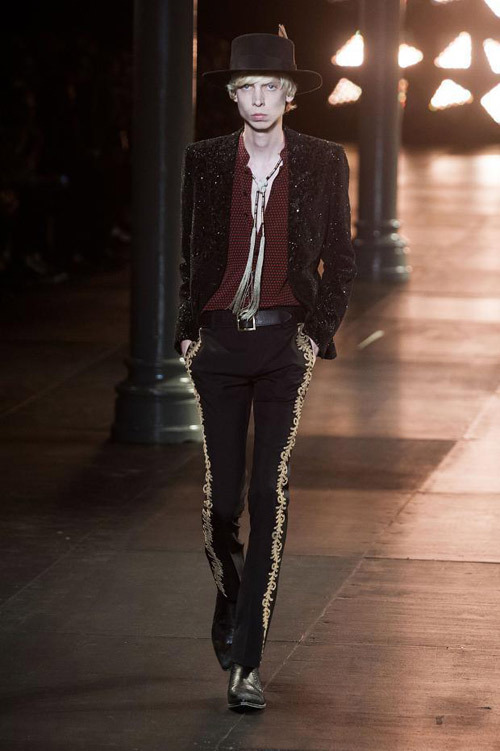 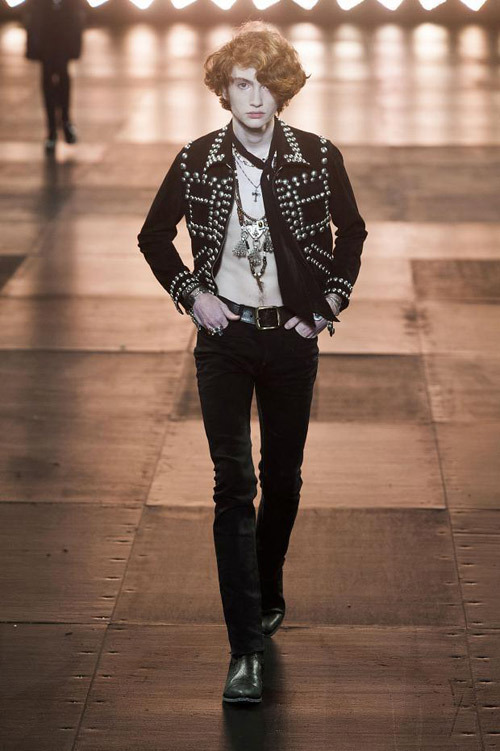 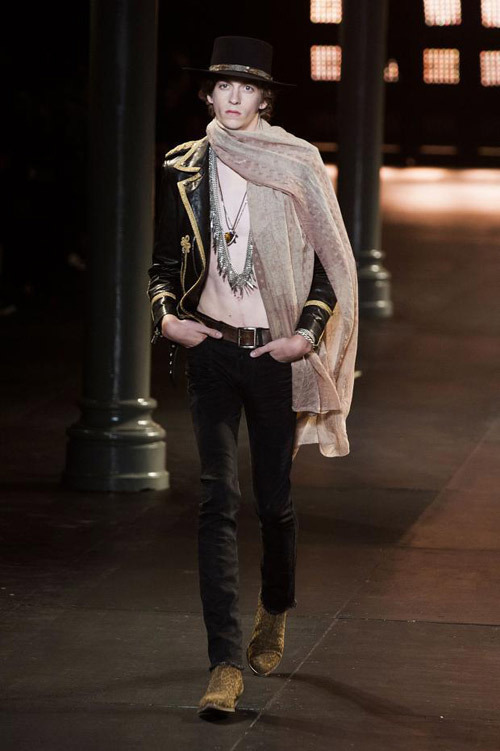 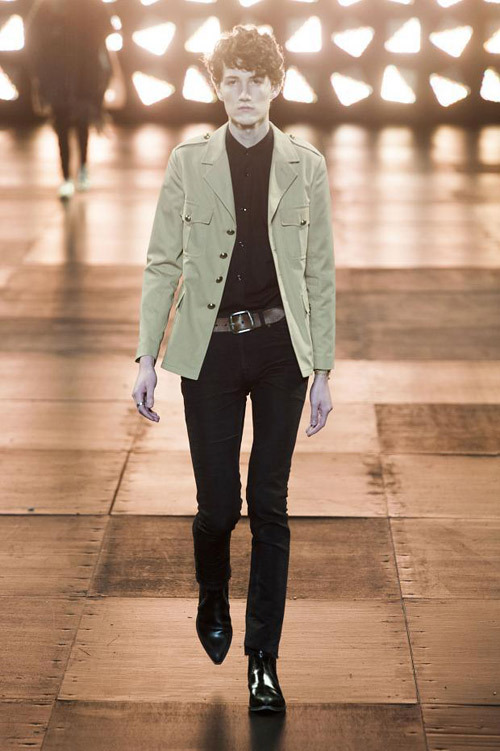 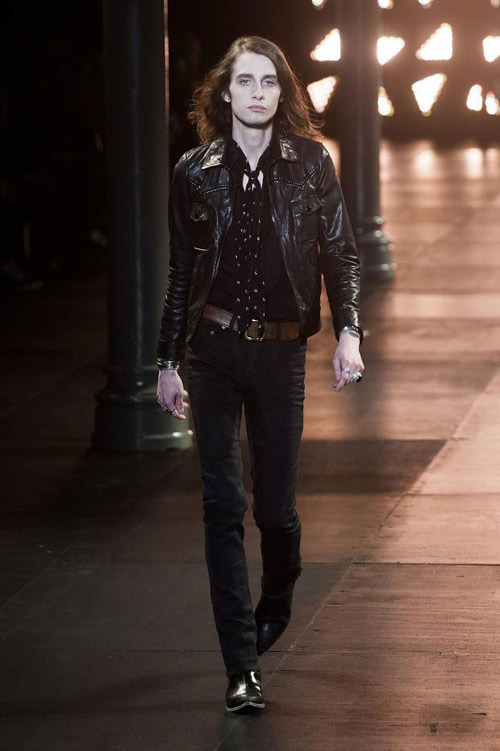 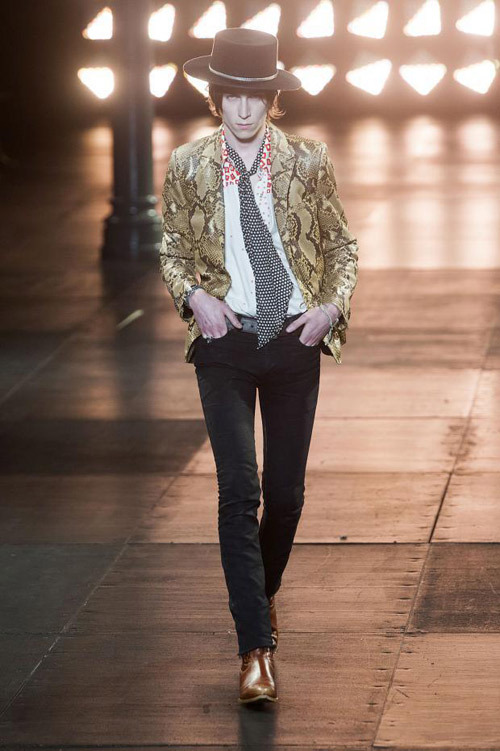 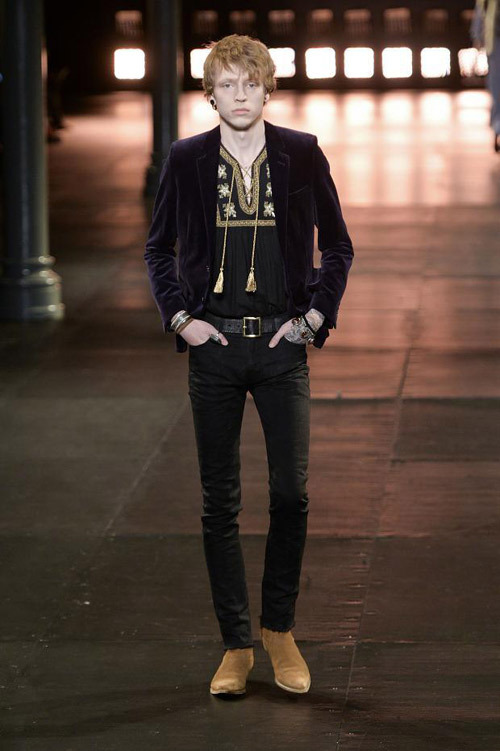 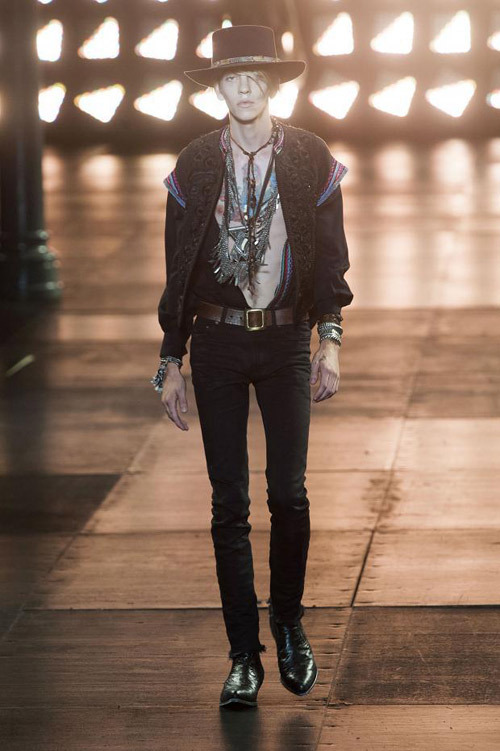 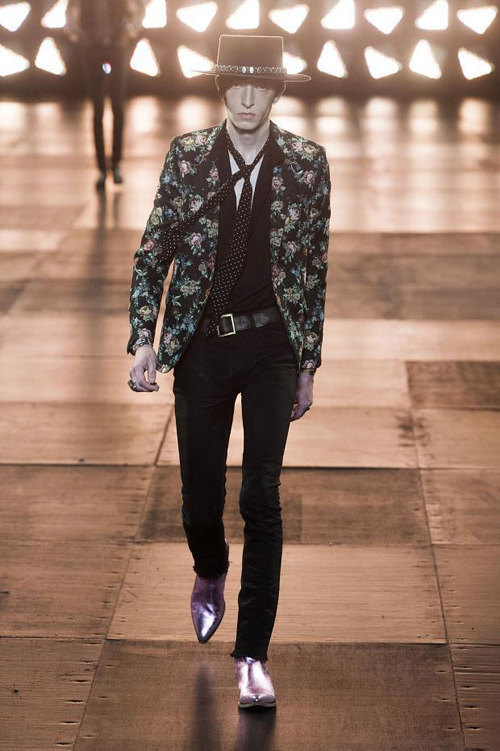 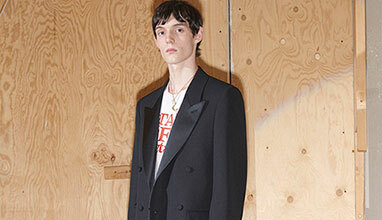 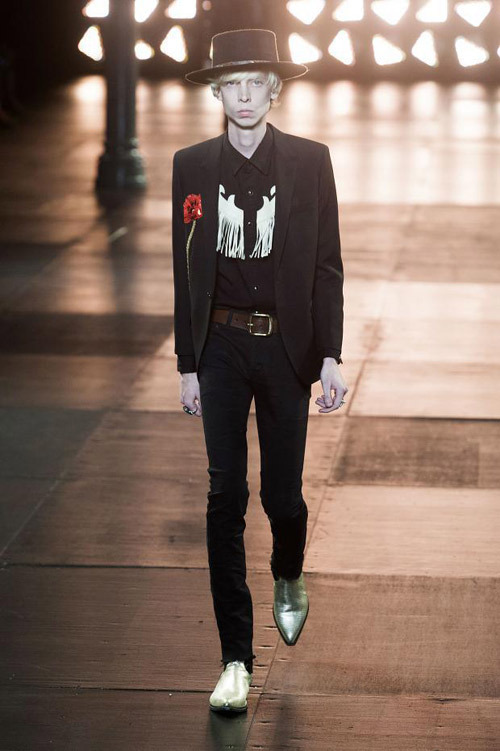 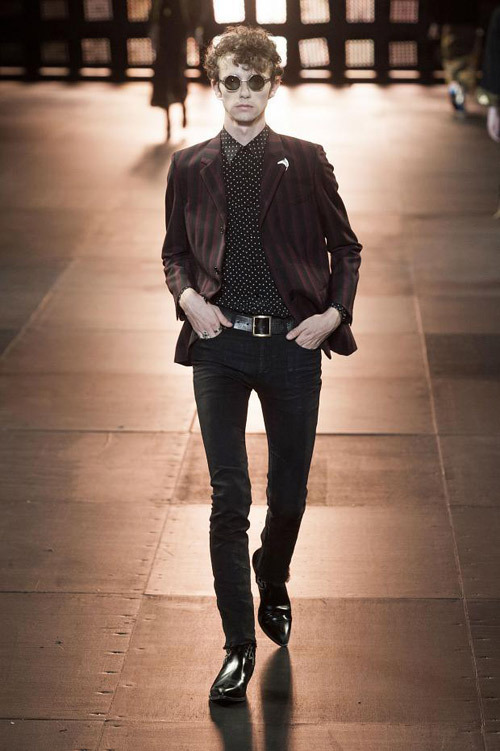 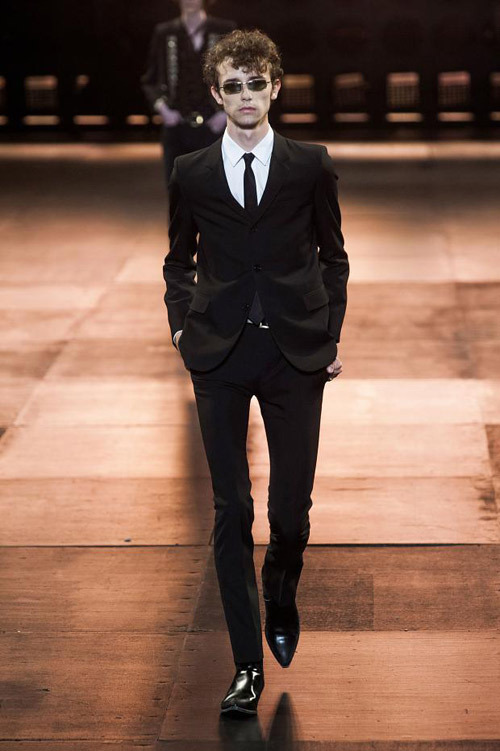 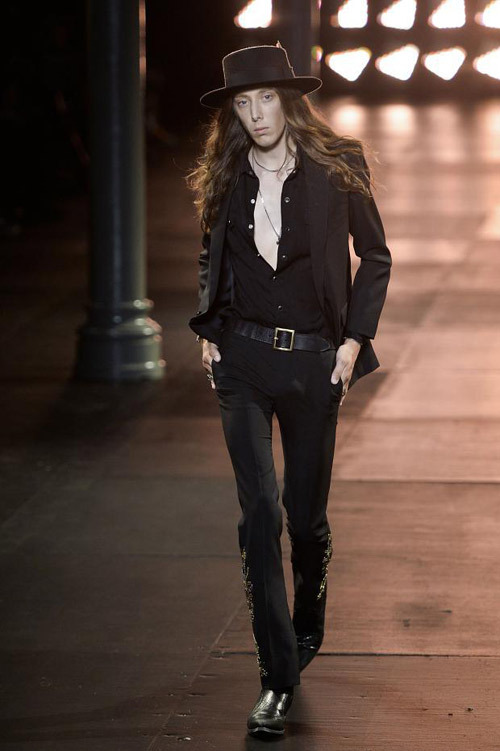 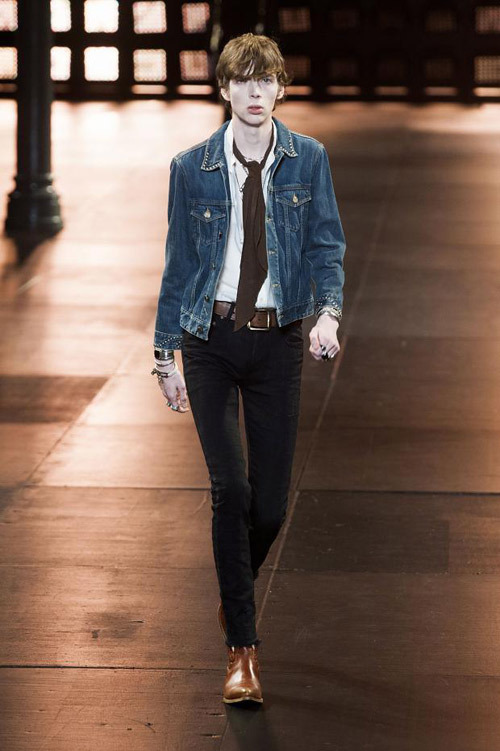 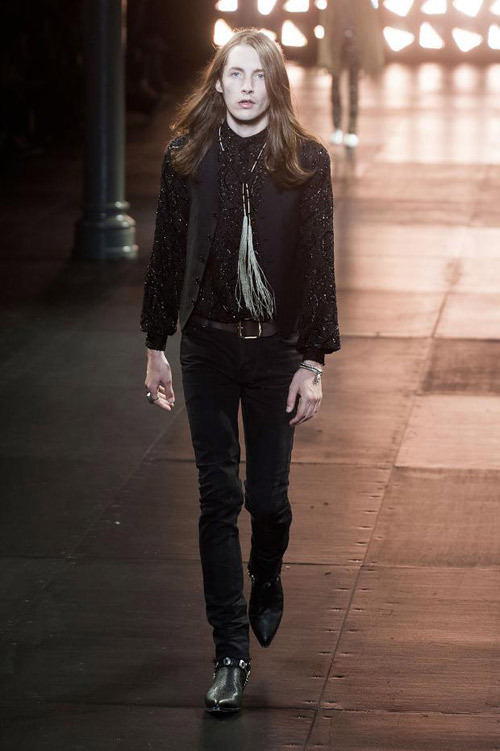 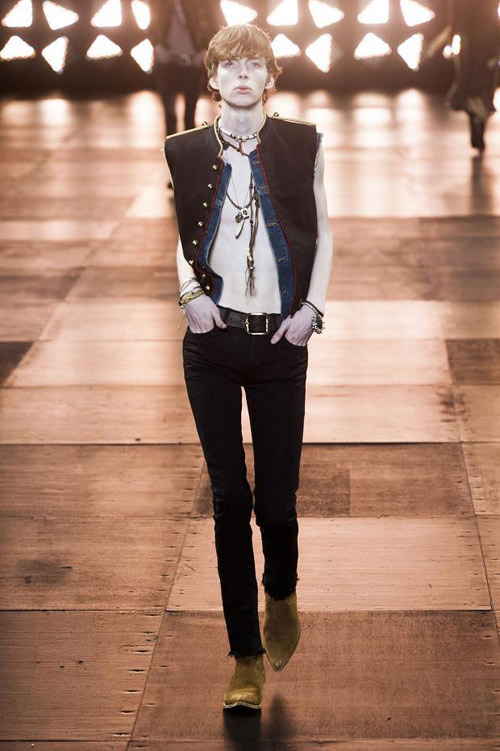 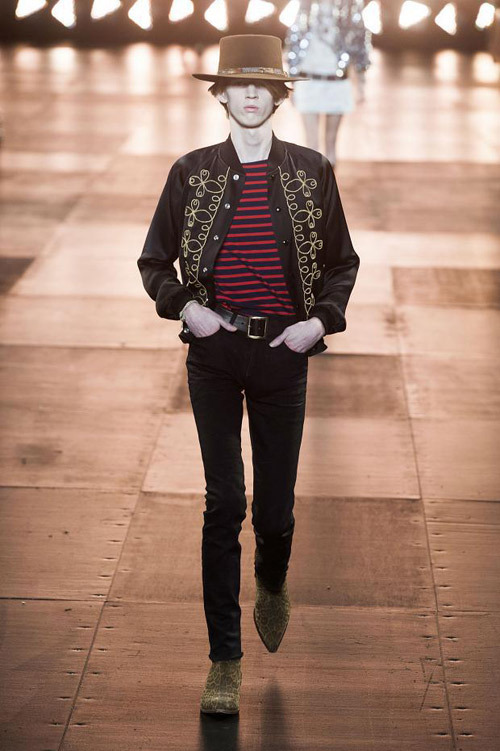 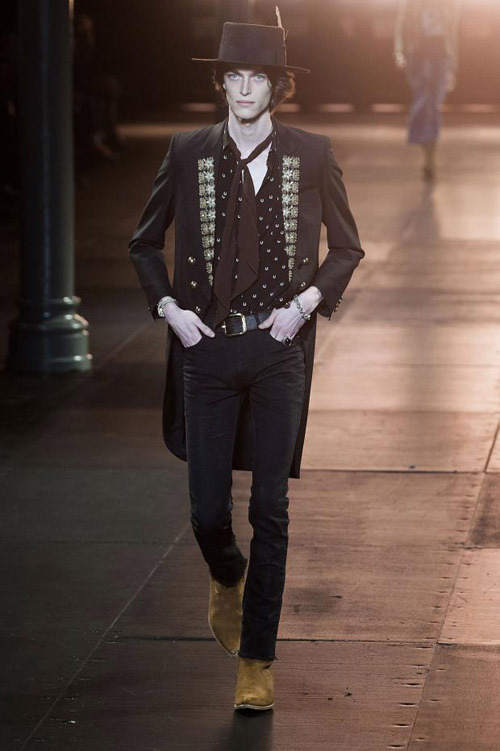 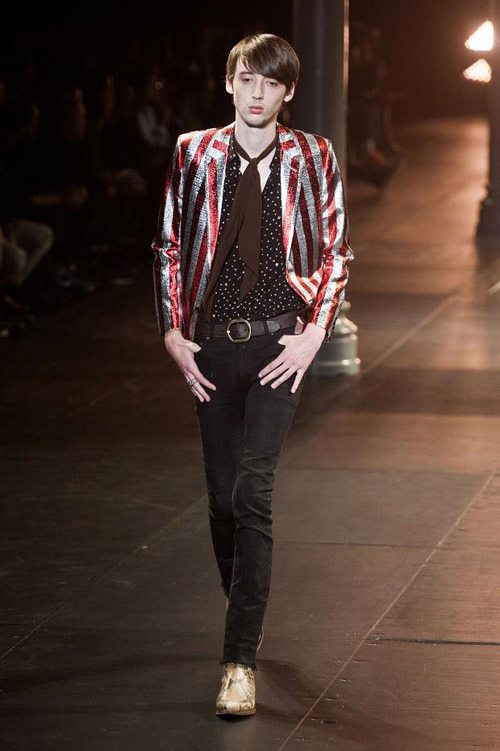 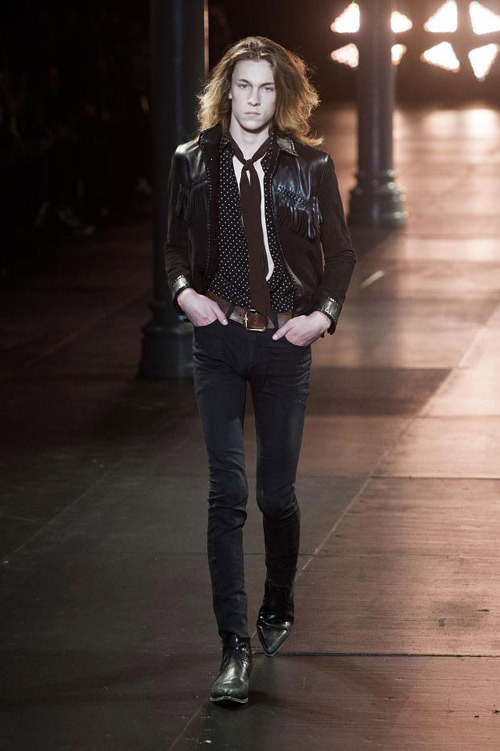 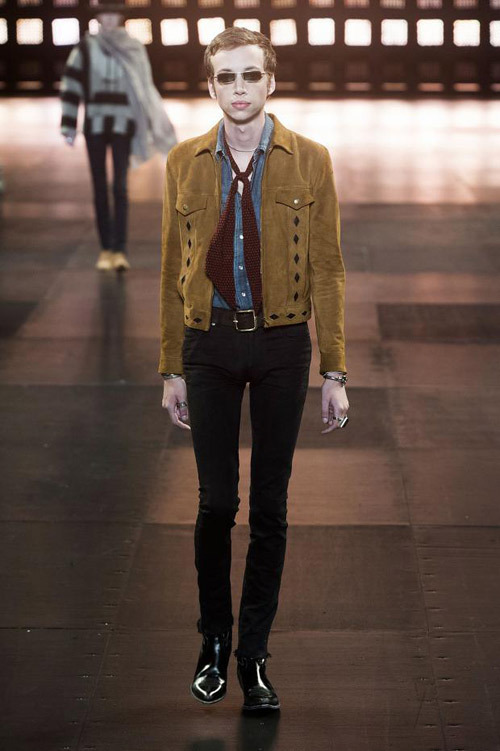 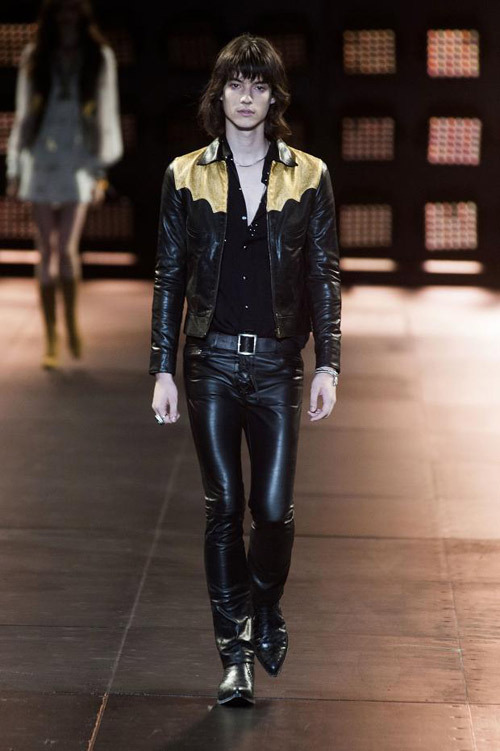 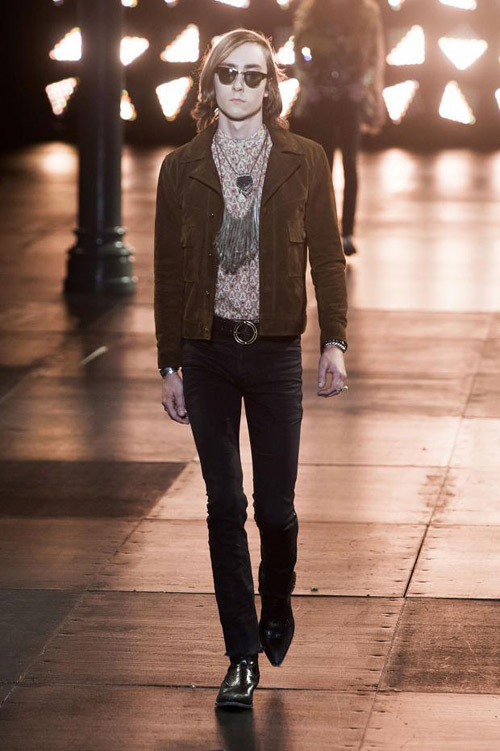 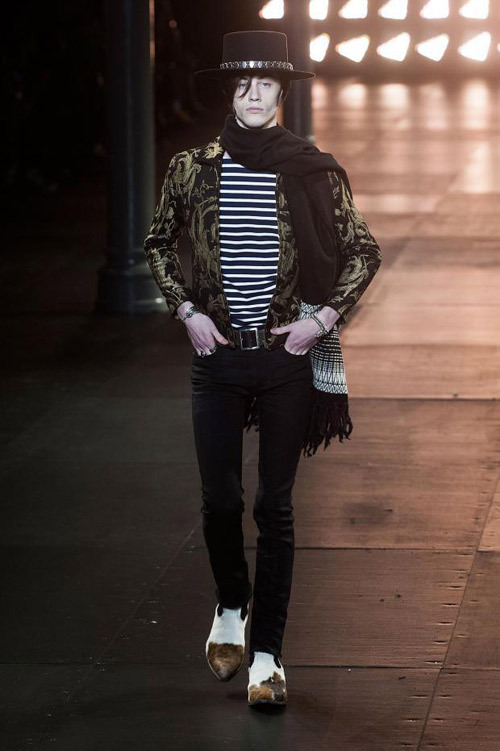 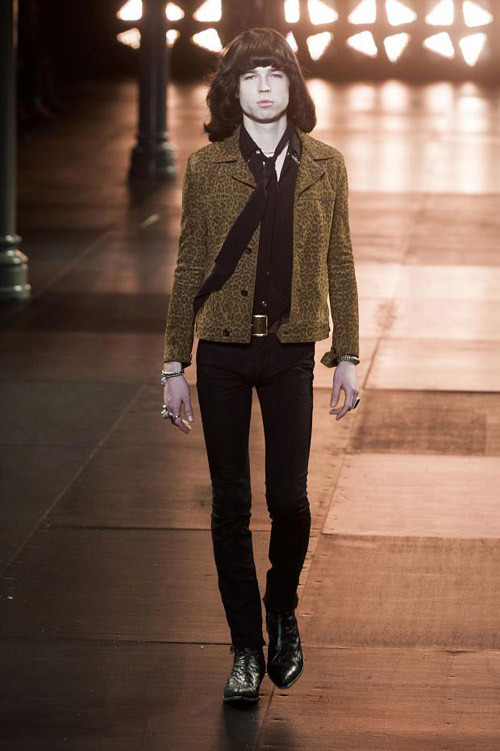 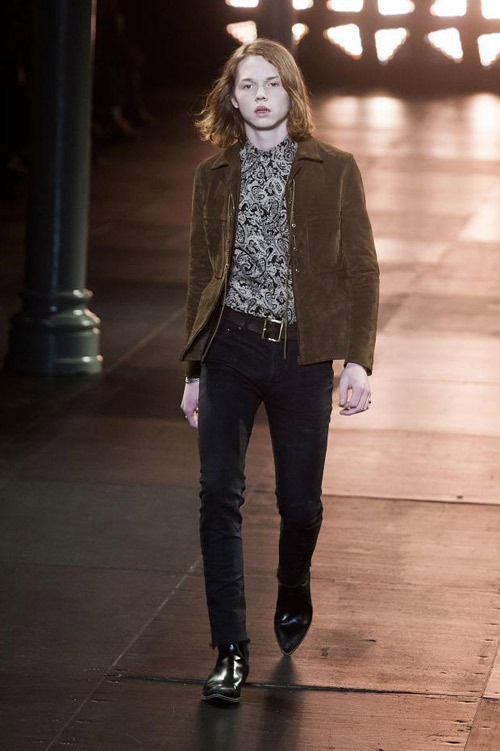 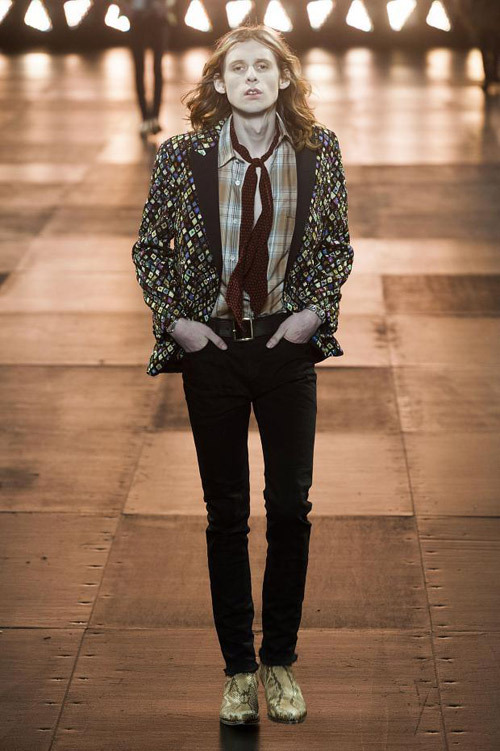 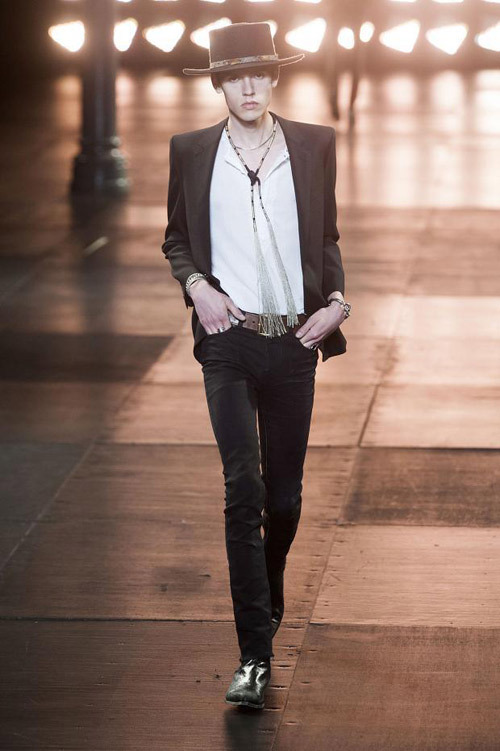 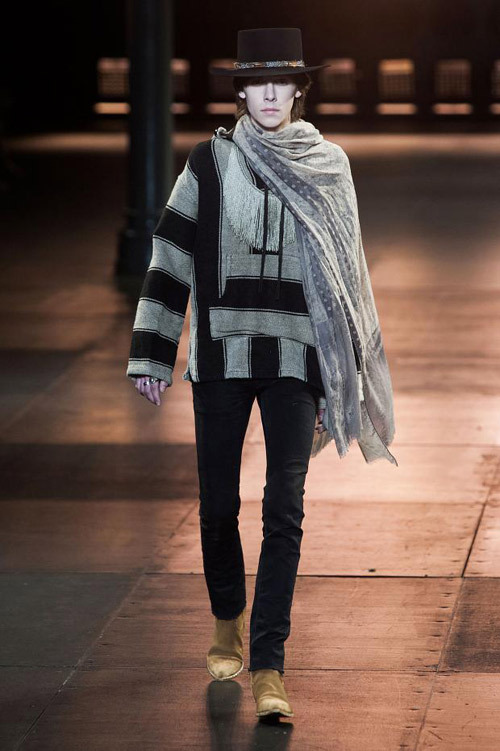 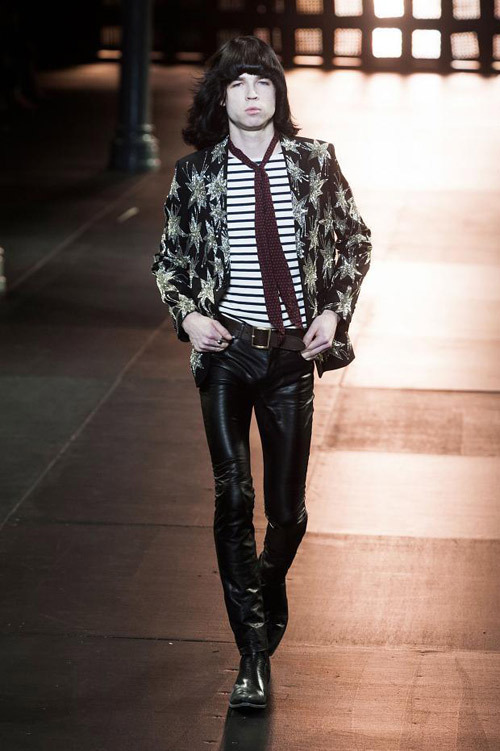 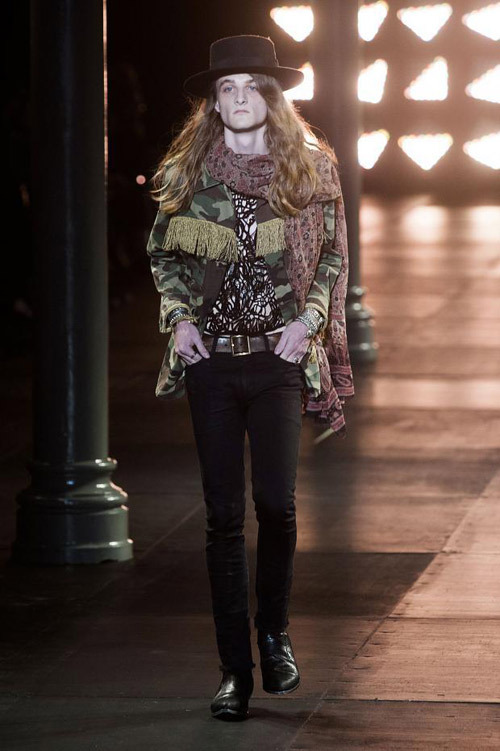 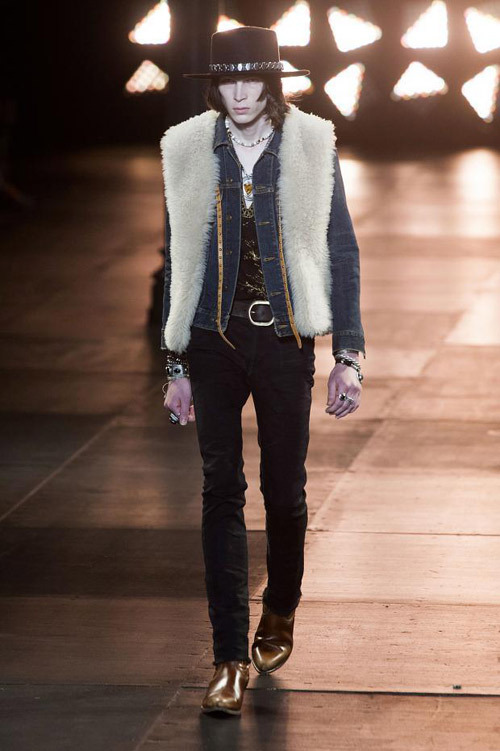 Saint Laurent presented Spring 2015 menswear during the Paris Fashion Week. 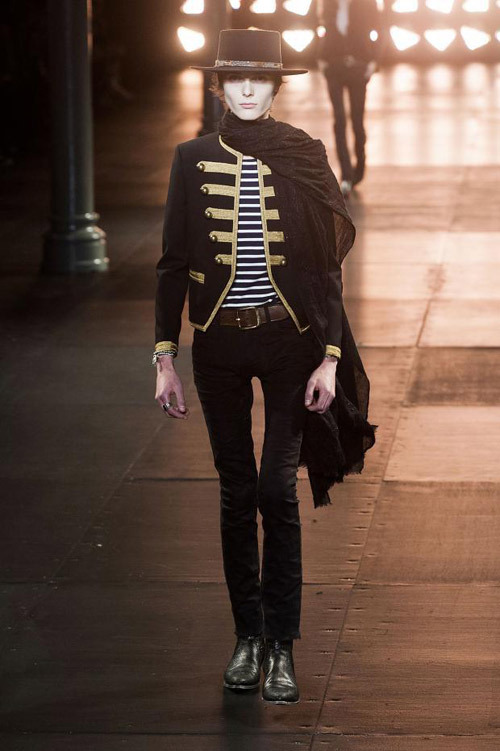 The fashion show was amazing with a lot of brilliant models and details. 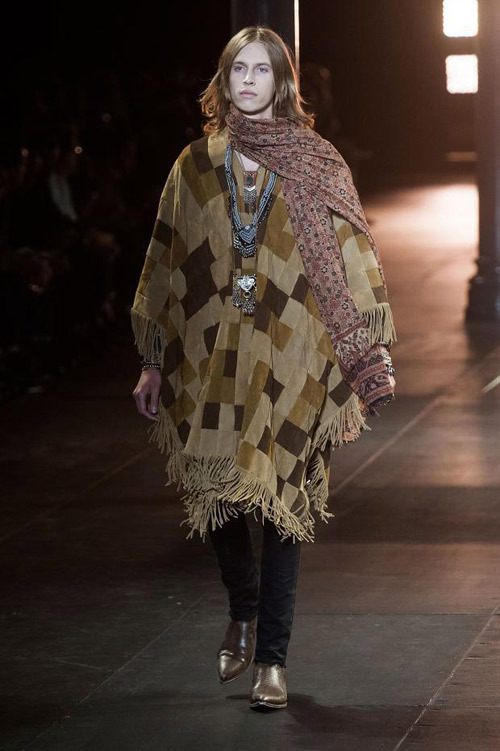 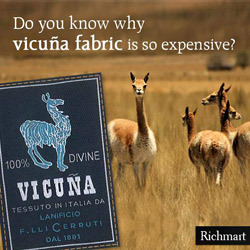 The most memorable of them are: Little Bugle Boy jacket, poncho, sheepskin vest, army surplus, embroidered jeans, amulets, snakeskin boots. 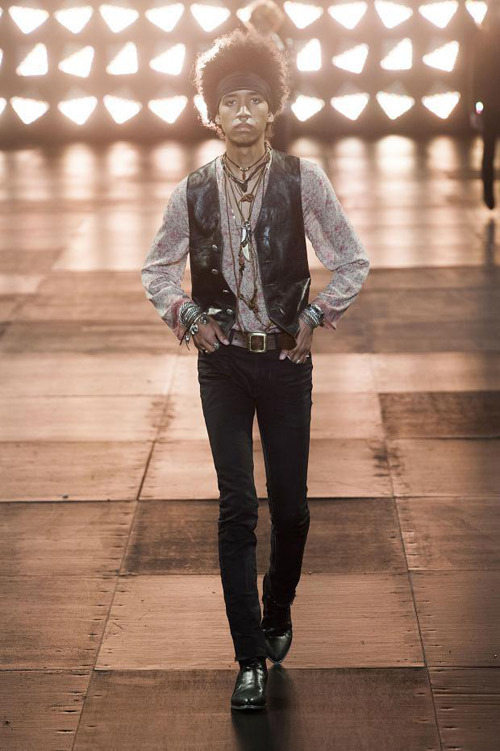 Welcome to the cowboy. 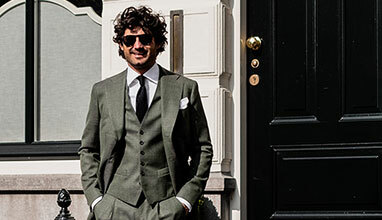 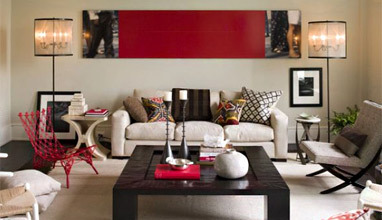 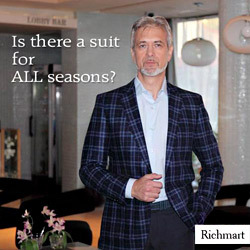 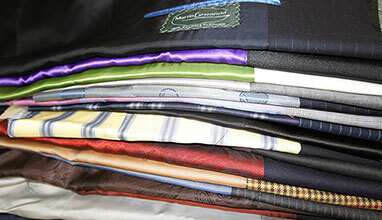 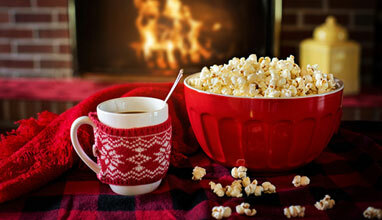 The color palette was in the brown shades including black, ochra, red and blue. 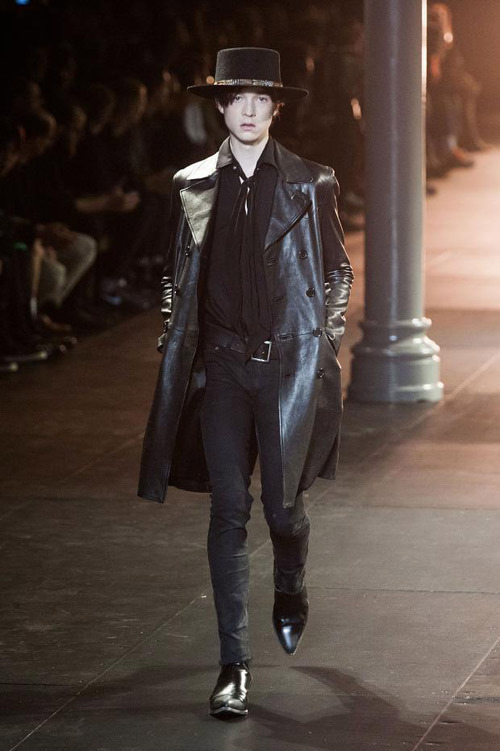 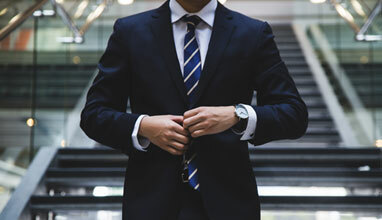 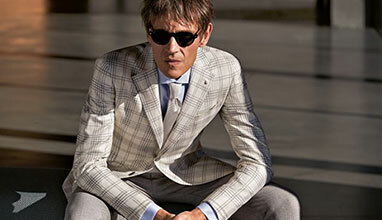 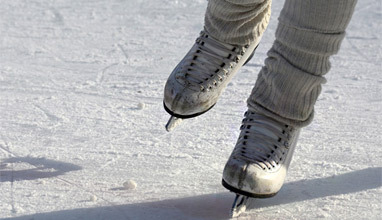 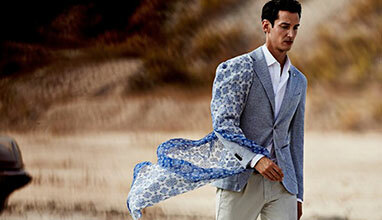 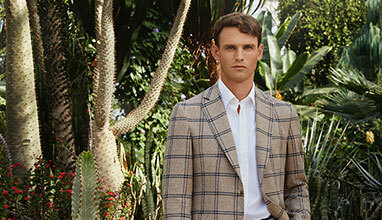 The main material used for the outerwear was the leather. 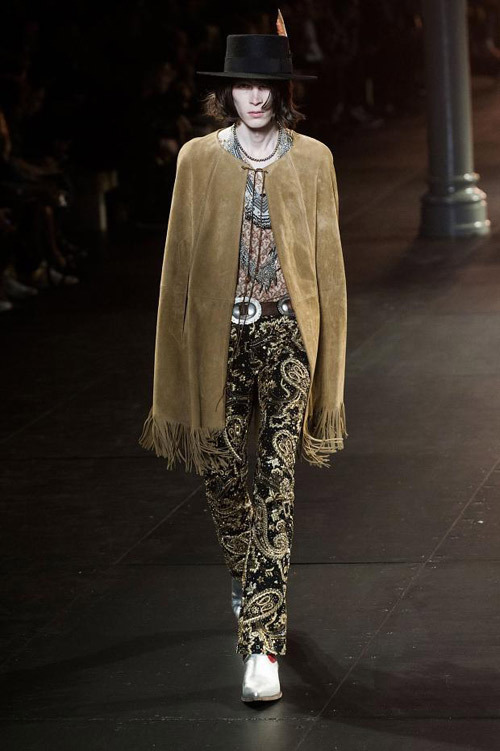 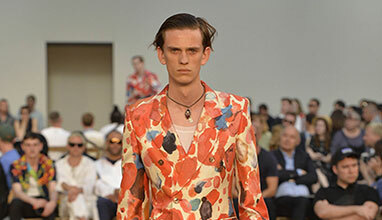 The designer showcased a variety of envelope-pushing "hobo" looks, including ubiquitous Woodstock-era styles (read: 60's) that saw ethnic pendants hung on naked torsos with embroidered waistcoats. 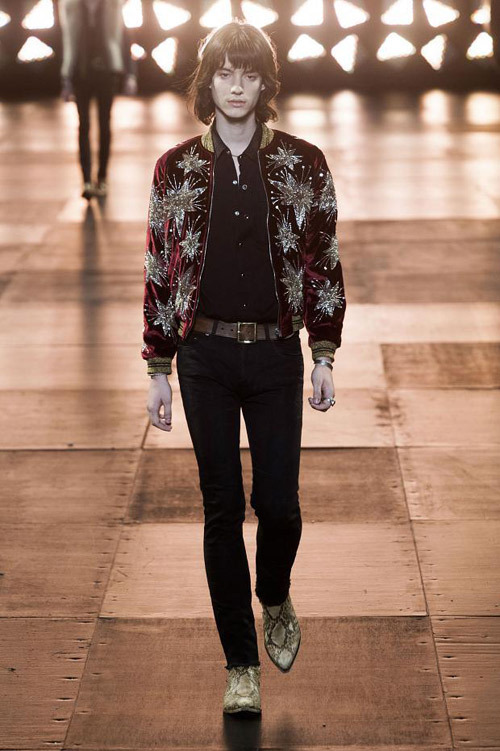 The Saint Laurent outerwear is set to be the staple fashion item, with jackets for the cool temperatures of the desert evening ranging from military-inspired cuts with python skin, blazers with floral prints, sequinned or studded, to denim ones matched with shearling vests. 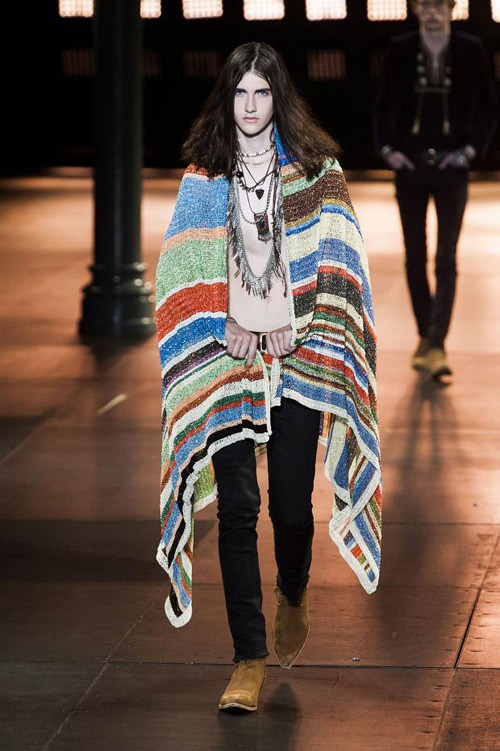 The accessories: scarves as well as crochet blankets round out the Mexican cowboy or Woodstock hippie look, however your mood fancies you.